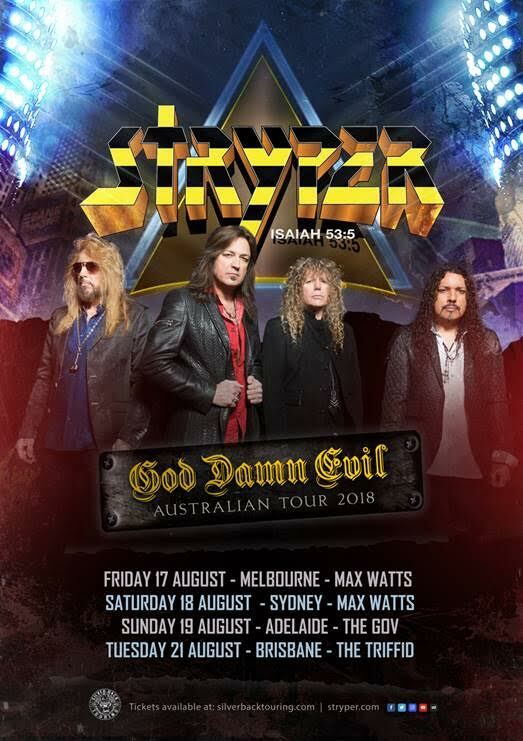 Interview: Michael Sweet of Stryper – Spotlight Report "The Best Entertainment Website in Oz"
As a very young fan of rock and metal in the late eighties and nineties, I recall distinctly the chatter amongst fans who debated the credibility of Stryper to have earnt a place amongst Metallica, Poison and Mortal Sin in the metal fans cassette caddy. Most agreed, Stryper were a great band… musically. But did we need the bible references and Christian theme so pervasive through the bands lyrics and imagery? Those same schoolyard kids debating superfluous matters become teenagers who become adults, eventually paying taxes, enduring broken hearts, and experiencing the devastation the loss of family members cause along the way. Somehow, young humans become adult humans and end up enduring all manner of calamities to survive and live another day. 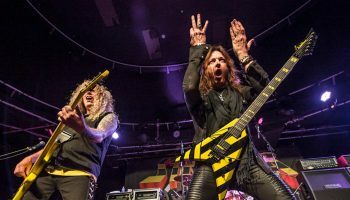 For many, Stryper’s lyrical content went from simply ‘uncool’, to worthy companion as one navigated the pitfalls of life. Stryper’s message of salvation is also a welcome reprieve from the ‘f*ck the world’ narrative of so much contemporary music. 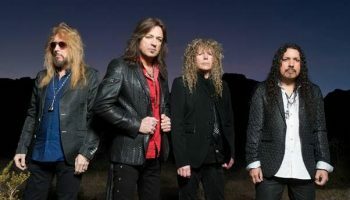 On the line early one morning from the United States, Michael Sweet, a Stryper foundation member and their vocalist/ guitarist talks about his faith, surviving the fads and changes of the music industry and the August tour of selected cities across Australia. When the band broke up in 1993, Messer’s Cobain and Vedder ruled the charts and airwaves. Record execs attention turned to a myriad of copycat outfits to cash in on the success of the ‘Seattle scene’. Thank God for the internet and the power and reach the medium offered a band like Stryper. The band has cemented their place in heavy metal since their reformation in 2003 and the album Reborn unleashed in 2005. Sweet is enthused that the band continues to hold a fan base in Australia. Discussing the upcoming tour, it’s clear this is one territory the band feel privileged to have gained an audience. “Australia and Japan were the two places that we travelled afar way back in the mid ’80s, so Australia holds a special place in our hearts. We’re not able to get there every other year or every year. It’s usually about every six, seven, eight years and that’s unfortunate. We’ve kept our fan base there and we have quite a good fan base in Australia, thank God, and we’re really thrilled and we’re very fortunate to have that, very blessed.